Hello! 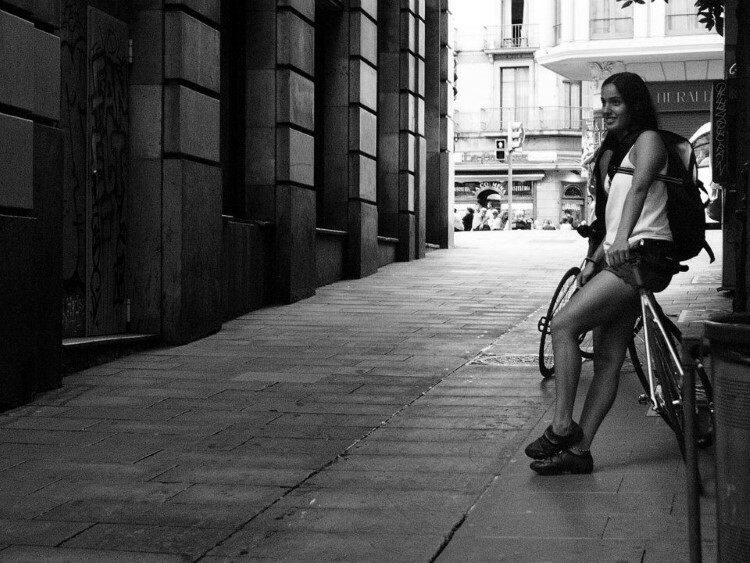 I’m Carla, I have 22 years, I live in Madrid but my family is from La Rioja and study sports. 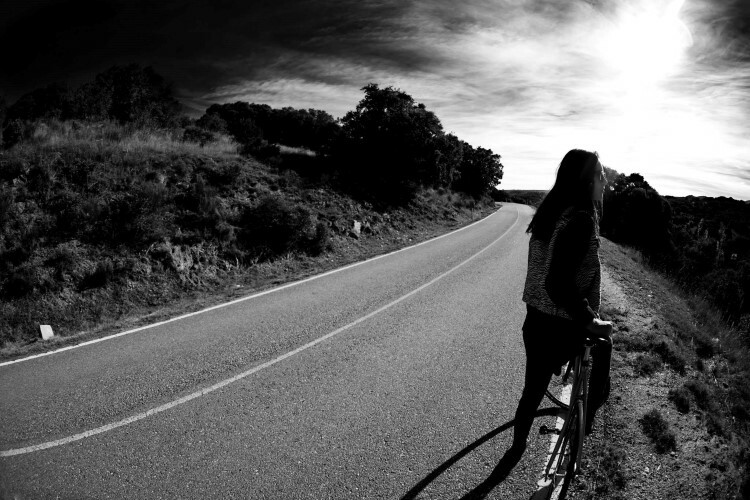 CYCLING 360º. 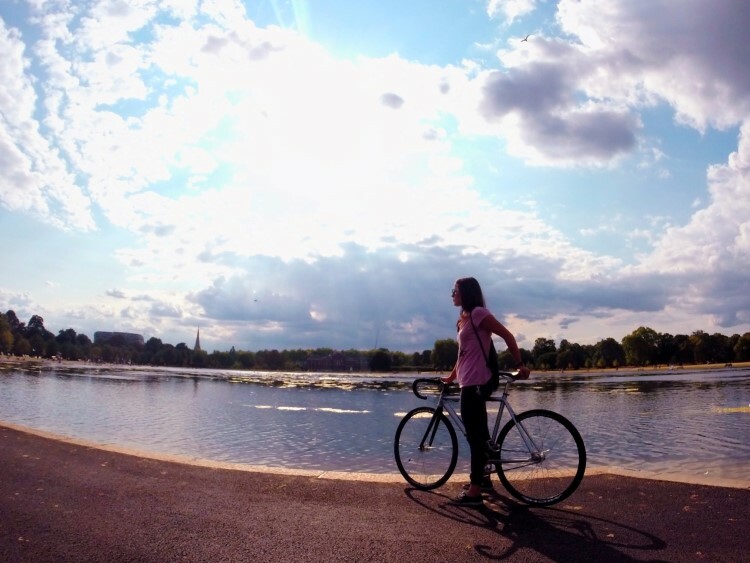 Tell us what cycling and the bike means to you. How did you get into cycling? 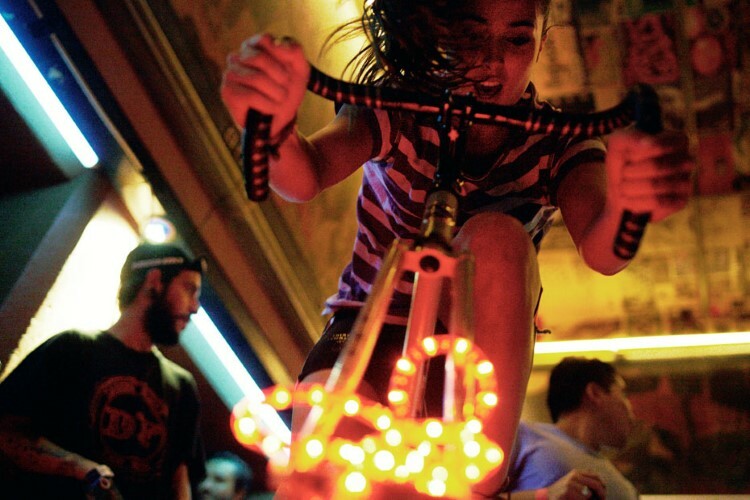 And into the fixed gear scene? I don’t only link cycling as my sport, it’s my style life, it’s stranger for me to take the subway or walk than take the bike and go cycling. At 18 years old I moved to the centre of Madrid, I met those who are now my friends and they introduced me the fixed gear bike, I’ve just bought a Btwin and decided to transform it in a fixed gear bike (it’s still in my closet : -D) . I bought my first road bike two years ago, but due to bodily injuries I could not start training or pedalling harder until January this year. Not all are bikes … Tell us about face off to the races and trainings. I love running, dancing, and especially doing crazy things. I like cooking, eating breakfast with my mother and my sister, hanging out with my friends and traveling, but whenever I can I put my bike in my suitcase. Fixed and Madrid. Do you want to tell us something about “your city”, people, shops, locals, friends? 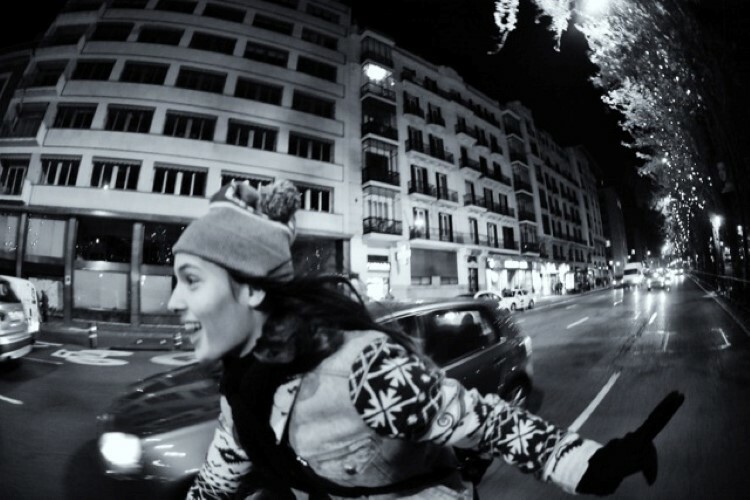 How do you ride in Madrid? 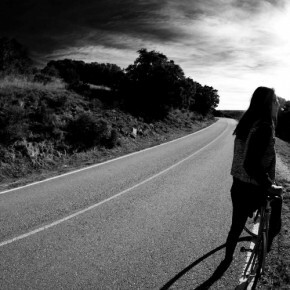 Madrid is an up and down, it’s better that you have a good gear ratio if you want to remain your legs alive. 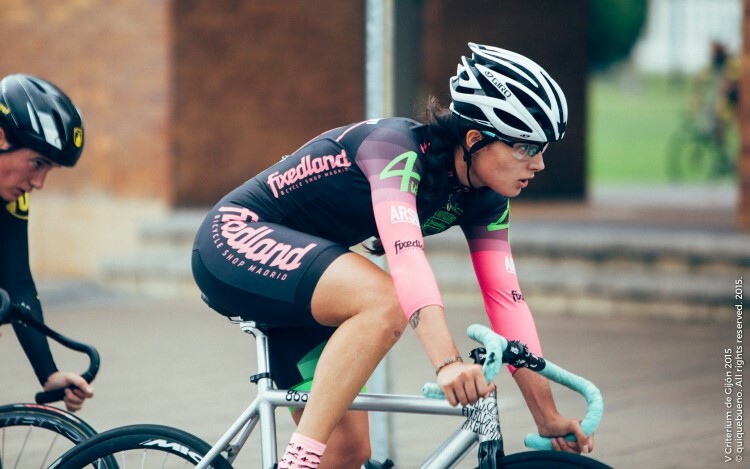 Personally I prefer riding between cars than criteriums, because it’s full of adrenaline riding like crazy and reaching my house without breath, I love it. From the streets to the “track”. 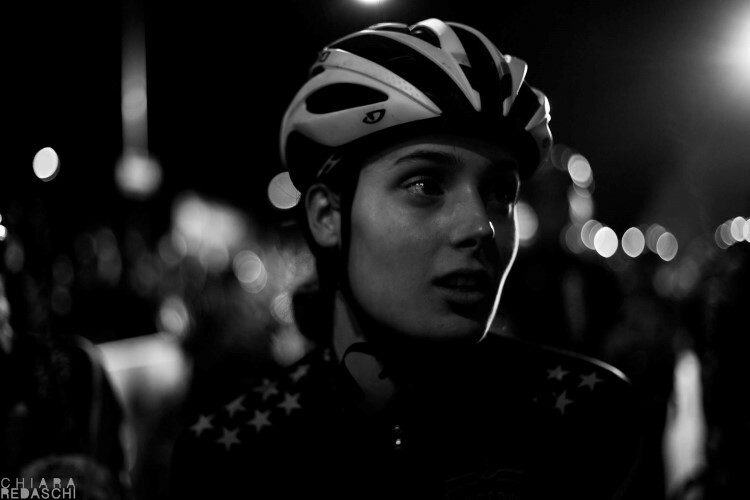 Red Hook Criterium. We would like to know what’s your feeling with this race format (criterium), emotions, experiences, stories …, do you remember your first crit? 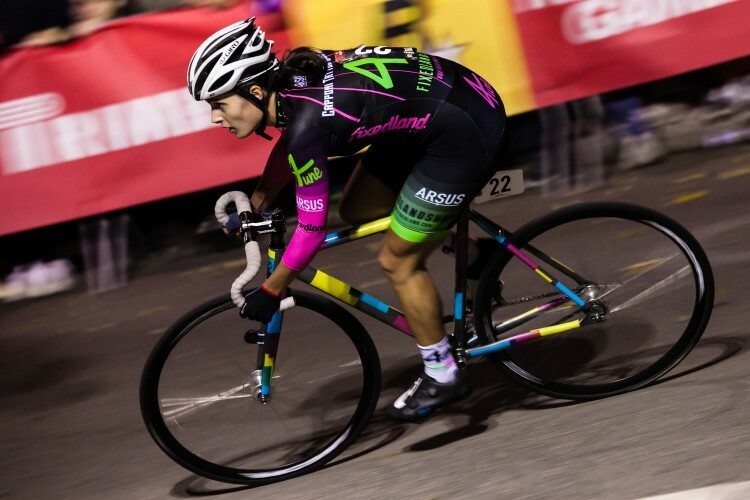 I have always loved individual sports, fast and with a certain long-distance, but criteriums are great because they have some madness as well and I think it’s the best definition of what I like and how I am. Actually I’ve only been in 4 Red Hook, 3 in Barcelona and the last in Milan. 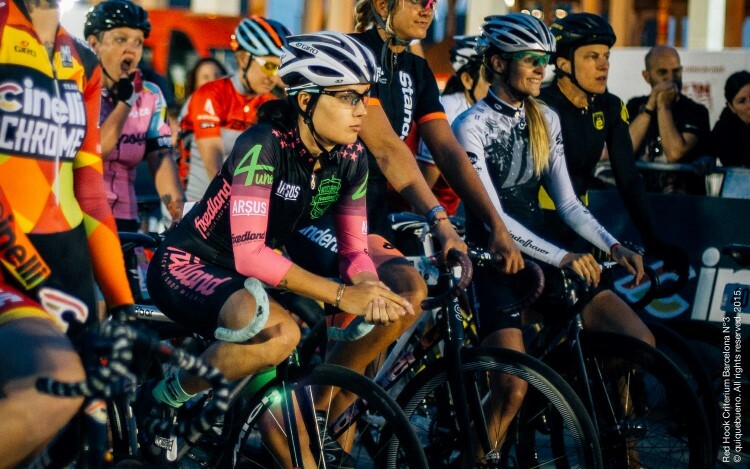 I remember the first crit like it has been yesterday, there was still no women category, we raced against men, it wasn’t my best time, and I was so nervous that in the midst of qualifying I fell off due to dizziness. Of all we learn, it has not happened again. To get so nervous I mean, because of falling we can say that is my second name … ha, ha, ha. 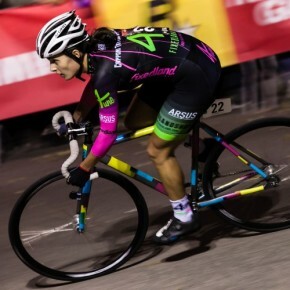 Milan, for me, the last of the fixed gear season and my first race out of Spain as well. Unforgettable. 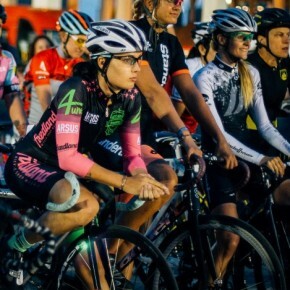 Red Hook Crit, girls. Whenever you are more, and increasingly strong and prepared. How do you feel in this community? How is the relationship between you? An opponent that you admire? The relationship is very good; you always meet lovely people and make friends. 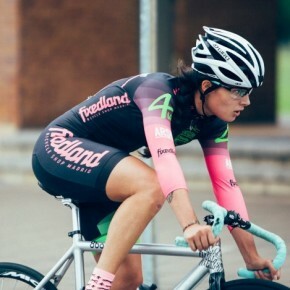 An opponent who I admire, I could not tell, I think I admire all women who are racing in such races. My whole life has been surrounded by men and now it’s great that every time increase the number of women, so that this sport can continue to grow up. And the fact that every time the level increases, motivates me to keep improving. 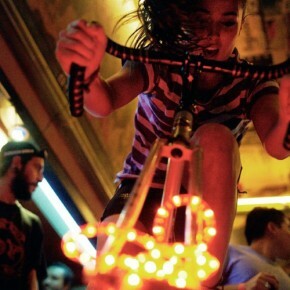 Cycling aside, which artist of this scene (photographer / filmmaker) do you like? Why? There are several people who have an incredible eye in capturing those racing moments, but I have to say that Mario Cranks, from Madrid, is the closest and best who I know, I just love his pictures and videos, besides being a very good person. I would like to thank to FIXEDLAND for his unconditional support (thanks for everything “For”, you’re always there supporting). To those people screaming my name in racings that motivates me a lot! To my family, my mother and my sister, without them none of this would make sense. 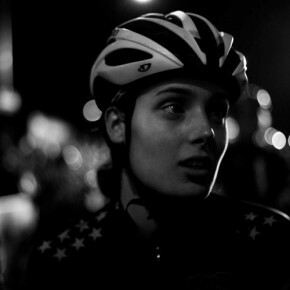 To Red Hook Criterium for making this all possible. I hope it will continue to grow up.